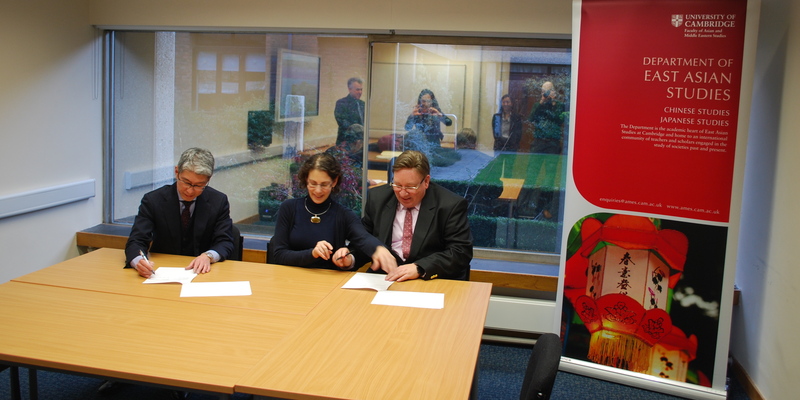 Japanese Studies at the University of Cambridge is delighted to announce the official signing of two new graduate scholarship agreements. Keidanren Chair of Japanese Studies, Professor Mickey Adolphson, met with Wano Tsutomu of Quick co. and Nakagawa Hiroyuki of NGA in Osaka and Tokyo respectively, in the last week of March to officially sign the agreements. Founded in 1951, the NGA Group specialises in vocational colleges, driving schools and real-estate leasing across Japan. The Hiroyuki Nakagawa Graduate Scholarship in Japanese Studies will provide a new source of funding for top-flight PhD applicants. It will be administered in collaboration with the Cambridge Trust and the Japanese Studies Section of the Faculty of Asian and Middle Eastern Studies to cover tuition fees and maintenance for two graduate students, one starting in 2019 and one in 2022. The Quick Group provides human resources-related services including recruitment, HR consulting, education and training. It is also active in information technology and publishing. Quick has operations across the globe and its goal is to become the ‘Human resources Department for the World’. In collaboration with the Cambridge Trust, The Quick Japan and the World Graduate Scholarship will co-fund a programme of PhD scholarships for students of Japanese Studies at Cambridge, starting in 2020. The aim of the scholarship is to stimulate world class research concerning the study of Japan or considering Japan in the larger context of the world. Small to medium sized enterprise and businesses make up the vast majority of companies operating in Japan today, and support roughly 70% of the nation’s workforce. They also represent the most diverse and vibrant sector of Japan’s business community. 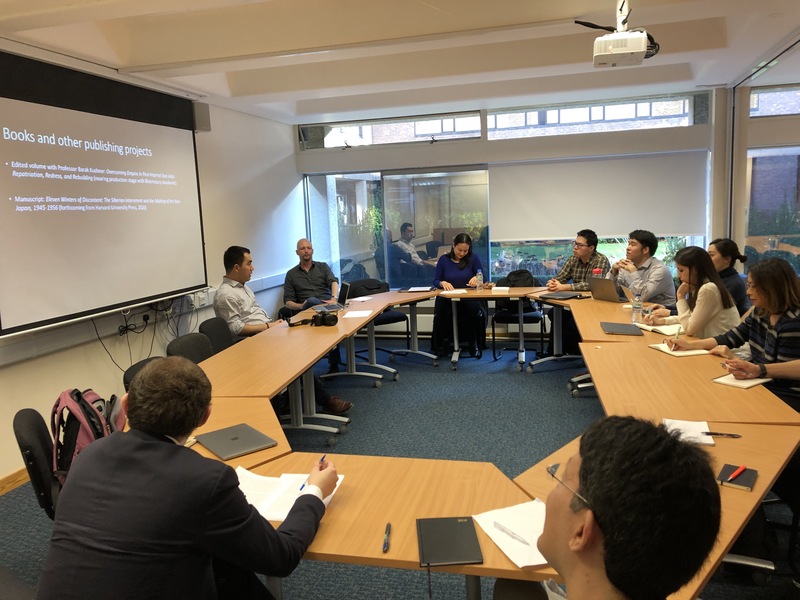 Forging connections with visionary companies such as Quick and NGA is helping to push our Japan and the World graduate programme from strength to strength and scholarships such as these allow us to continue to recruit to Cambridge the very best graduate students from around the world. Click logo to visit our graduate programmes site. Like the University, Japan and the World at Cambridge is committed in its pursuit of academic excellence to equality of opportunity and to a pro-active and inclusive approach to equality, which supports and encourages all under-represented groups, promotes an inclusive culture, and values diversity.